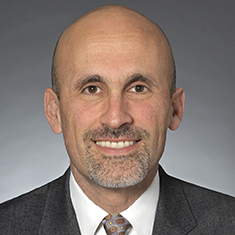 Gil M. Soffer is managing partner of Katten's Chicago office, national co-chair of the firm's Litigation practice and a member of the Board of Directors. A former federal prosecutor, Gil provides experienced counsel to individuals and companies under investigation by the Department of Justice (DOJ), Securities and Exchange Commission (SEC), Federal Trade Commission (FTC) and other government regulators. Gil's practice runs the gamut of white collar criminal and civil fraud matters, with particular emphasis on the Foreign Corrupt Practices Act (FCPA), health care fraud, securities fraud and fraud involving government programs. Among other recent engagements, Gil successfully defended two former executives of a high-profile mortgage lending company in a fraud investigation by the SEC, convincing the agency not to pursue charges against either client; represented one of the largest for-profit providers of higher education in investigations conducted by the FTC, DoE, and other agencies; defended a multi-state health care provider accused by the Department of Justice of anti-kickback violations and Medicare fraud; defended Japanese and American executives in two separate antitrust investigations by the Department of Justice involving the Japanese automobile industry; and represented in-house counsel in two separate FCPA investigations conducted jointly by the DOJ and SEC. Gil also has counseled corporations and their boards in connection with derivative class action litigation arising from allegations of fraud. Before joining Katten, Gil was an Assistant US Attorney (AUSA) in Chicago. As an AUSA, he prosecuted cases ranging from corruption to health care fraud, earning the Director's Award for Superior Performance as an AUSA from then Attorney General Janet Reno. Later, while at Katten, Gil accepted a position as Counsel to the Deputy Attorney General and was soon thereafter appointed Associate Deputy Attorney General. In this position, he played an integral role in drafting the Department of Justice's Corporate Charging Principles (the Filip Memo), and provided training on the policy to US Attorneys' offices nationwide. He also managed the President's Corporate Fraud Task Force and briefed members of Congress about criminal matters within the DOJ. After completing his service in 2009, Gil returned to the firm. Gil has particular experience in the area of independent corporate monitorships. As Associate Deputy Attorney General, Gil was a principal drafter of the DOJ's Corporate Monitor Principles (the Morford Memo). He has testified before the US House of Representatives Judiciary Committee's Subcommittee on Commercial and Administrative Law regarding the use and selection of corporate monitors in criminal cases. In February 2017, the DOJ and SEC appointed Gil as the global corporate compliance monitor for the world's largest manufacturer of generic pharmaceuticals, in one of the most substantial FCPA resolutions to date. Gil is frequently sought out by local and national media to speak on criminal law matters and serves as legal analyst for WLS-Channel 7, the Chicago affiliate of ABC, and KGO, the San Francisco Bay Area affiliate of ABC. In his tradition of public service, in December 2009, Gil was appointed by Illinois Governor Quinn to serve as a commissioner on the Illinois Executive Ethics Commission. The nine-member commission was formed to promote ethics in the executive branch of public service and to ensure that state business is conducted with fairness and integrity. Toward that end, the commission adjudicates alleged violations of the Illinois Ethics Act and provides guidance to the state's ethics officers. Gil served on the commission in various roles, including chair, until the expiration of his appointment in September 2015. Shown below is a selection of Gil’s engagements. Independent FCPA compliance monitor for the world's largest manufacturer of generic pharmaceuticals. Representation of a special committee of the board of a niche generic pharmaceutical company which is conducting an investigation into allegations made by certain shareholders, including that certain officers and directors have breached their fiduciary duties to the company by failing to maintain adequate internal controls over financial reporting and engaging in insider trading. Lead counsel in multiple internal inquiries for an international manufacturing company. The investigations, which took place throughout Europe, involved potential kickback arrangements, Customs fraud and antitrust violations. Defense of an international bank against a suit by the CFTC alleging wash trading and other market manipulation. Representation of a for-profit education company in investigations by the FTC, California Attorney General and Department of Education. Representation of an in-house attorney in a grand jury investigation of an American manufacturer for FCPA violations in India. Representation of a Luxembourg-based investment firm in a civil suit alleging fraud, civil conspiracy and tortious interference with contract. Representation of hospitals and hospital networks in self disclosures to USAOs in Baltimore and Chicago concerning Medicare and Medicaid fraud. Defense of automobile executive in grand jury investigation of price fixing in the Japanese automotive industry. Representation of a Wall Street bank in a multiparty civil antitrust conspiracy case relating to the credit default swap market. Representation of four senior employees of a major airline in a False Claims Act investigation involving the airline industry conducted by the Department of Justice. Partner Gil Soffer Quoted in Report on Medicare Compliance on Fraud Conviction of Detroit M.D.